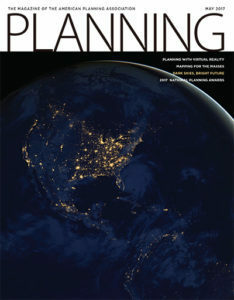 Your (hopefully hilarious) guide to most everything about the latest issue of APA’s Planning Magazine. It is a tale of two issues for May 2017. “It was the best of times, it was the worst of times, it was the age of wisdom, it was the age of foolishness…” Strange, that seems familiar. “Oops, did I say too much? Something to think about…” James M. Drinan, JD seems to reveal way more about the professional organization’s underlying, flawed assumptions than he probably intended for the From the Desk of APA’s Chief Executive Officer article (pp. 5) of this issue. In fact, it is all there in the title, “How Do We Shape the New Normal?” Think about that for a moment. 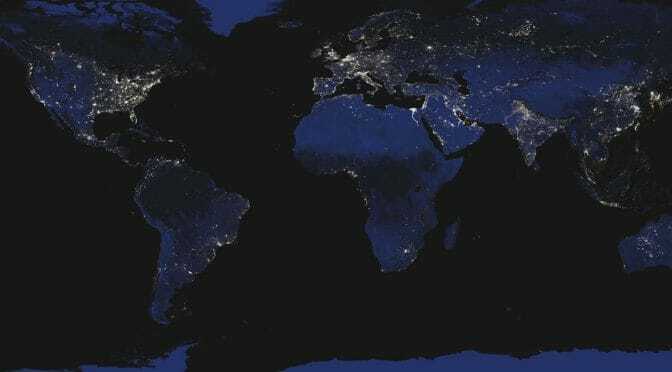 APA’s goal is not any sort of objective knowledge or the scientific truth about cities, which would have universal application regardless of whichever political party held power. Instead, by virtue of what is left unsaid, it represents something that is subjective, open to change and manipulation for the circumstances. It is an agenda that has to be ‘shaped’ to the political philosophy of the party in power; albeit, apparently only at the Federal level. This confirms APA is not a ‘neutral’ entity but a partisan one (big surprise, right). Other professional organizations have been supplanted by competitors for similar reasons in the past. Did I say too much? 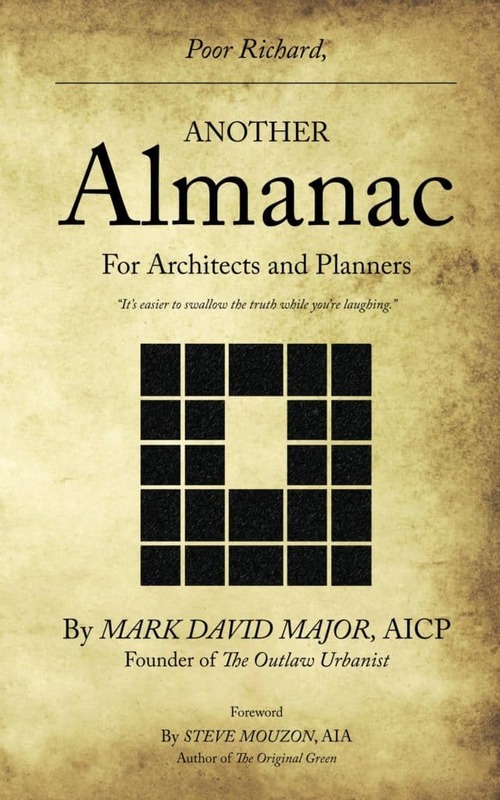 Planners who forget to, you know, plan ahead. “Lessons Learned from the Oroville Spillway” (pp. 11-12 in the News Section) tries to turn lemons into lemonade. Short summary: some planners and engineers forgot to plan ahead and anticipate alternative scenarios associated with the damn and its spillway, which, if anything, shows a lack of imagination. It appears to be an example of government planning at its finest. Yes, that last comment is sarcastic. Wait, Bourbon Street isn’t car-free already? Which was my biggest shock about the “New Orleans Ponders a Car-Free Bourbon Street” (pp. 13 in the News Section) article. Nice of APA to advertise just how far behind the United States really is when it comes to catering for pedestrians. People say cynicism is not a solution but it is hard to read a news item like this one without becoming a cynic. Our devious plan to regulate Airbnb and its like out of existence. Here is the not-so-secret plan of APA, government regulators, and real estate industry members – representing the ‘suburban model’ perpetuation of the status quo over the last 70 years – in “Regulating Short-Term Rentals” by Edward Sullivan (Legal Lessons on pp. 14). Resist! 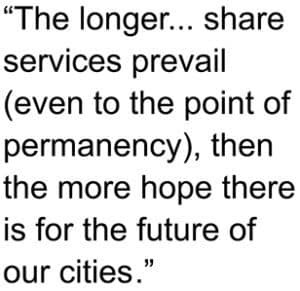 The longer Airbnb and other share services prevail (even to the point of permanency), then the more hope there is for the future of our cities. Fight the power! Be a short-term rental outlaw! That statement is probably enough for me to be charged with inciting illegal activities in some jurisdictions. A breath of fresh air. Finally, some solid reporting and writing in the three feature articles, “Immersive Technologies” by Emily Schlickman and Anya Domlesky (pp. 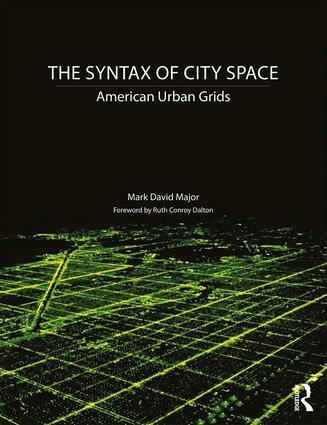 16-21), “Mapping for the Masses” by Jonathan Lerner (pp. 22-27), and “Dark Skies, Bright Future” by Allen Best (pp. 28-33). All of these articles (generalizing here) discuss the potential of their particular subject, their strengths and weaknesses, and even the possible shortcomings in the future. In 15 years as a member of APA, these three articles represent one of the best sequences in Planning Magazine during that time. 18 pages of pure bliss; more like this, please. Then, we come to the low point for the May 2017 issue of Planning Magazine: National Planning Awards. News Flash APA! I strongly believe Daniel Burnham and Pierre L’Enfant would be deeply embarrassed to have their names associated with APA’s National Planning Awards in general and with these ‘winners’ in particular. Let’s skip over the irony that Burnham was an architect and L’Enfant was an engineer. I mean, what is APA going to do; name an award after Robert Moses. How embarrassing would that be? Moses sucked and everyone knows it now. Also, have you noticed APA does not (apparently) have a national planning award named after Jane Jacobs. APA’s Standing Committee for the Refutation of Jane Jacobs (see below) must be still hard at work. Anyway, I do not want to spend too much time on these so-called awards. Judging by the full-page insert on pp. 48-49 practically begging for more entrants as well as the low quality of recent winners, it seems relatively clear that APA’s National Planning Awards are experiencing some problems staying afloat just like APA’s Planners Press. Or wait, should I have not said something about the failure and announced closure of Planners Press? Next time, maybe publish better books (just a suggestion). 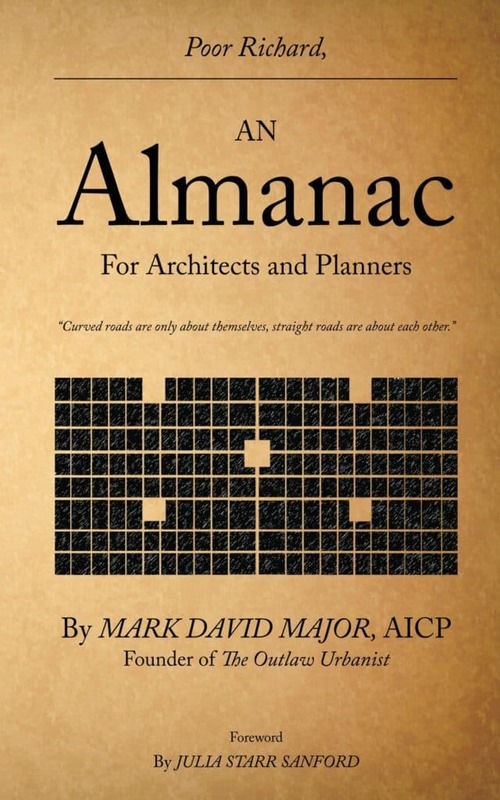 Have you ever noticed when APA is embarrassed, Planning Magazine does not show any plans or satellite views of particular projects? I mean, it is almost like they do not want you to know that they are writing hosannas and/or handing out awards for suburban sprawl. Let us take one example, the 2017 National Planning Excellence Award for a Planning Landmark winner: Montgomery County, Maryland. Where is Montgomery County, you ask? It is to the immediate north/west of Washington, D.C. and to the near-immediate south/west of Baltimore, Maryland. Looks like an obvious location for high-density, urbanized in-fill between two growing metropolitan regions. You know, planning and design with foresight. 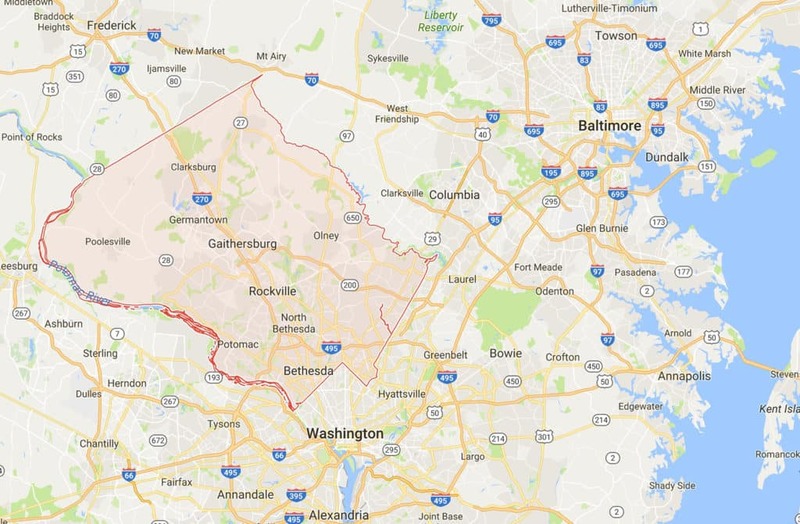 Google Maps view of Montgomery County, Maryland showing its intermediate, suburban location between Washington, D.C. to the south and Baltimore to the north. (Source: Google Maps). 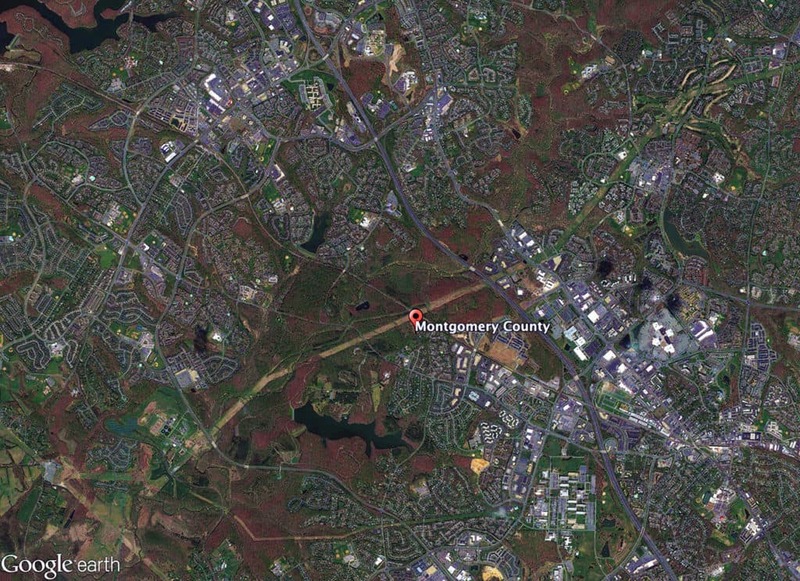 Satellite view of Montgomery County, Maryland from 15 km (Source: Google Earth). But wait, what is this? Gee, that looks like extensive physical evidence of suburban sprawl development patterns. The configuration of the ‘protected’ agricultural land is conversely that of the direction of the development patterns for Washington, D.C. from the southeast (the nearest urban center) to the northwest. Wait, it is possible this is part of a green belt for Washington, D.C.? Strange, I don’t recall the project description mentioning that information. Didn’t the Centre for Transport Studies at University College London demonstrate in the late 1990s that the effect of green belts was to increase auto-commuting travel miles, levels of carbon emissions, and suburban sprawl patterns (see The London Society’s refutation of green sprawl here). That is embarrassing. Not only is APA over two decades behind on this issue but they are actually still giving out awards for flawed policies perpetuating suburban sprawl. But that’s OK. By implementing policies such as transfer of development rights (TDR) to protect agricultural lands, maybe Montgomery County dramatically increased density in its buildable areas. What is the average population density in Montgomery County, Maryland today? 3.2 people per acre. Mm, average population density for New York City (the ‘unicorn’ of American planning, I think it is far to say) is 43.8 people per acre. New York Ctiy is neary 14 times denser than Montgomery County, Maryland. To paraphrase Britney Spears: oops, they did it again. 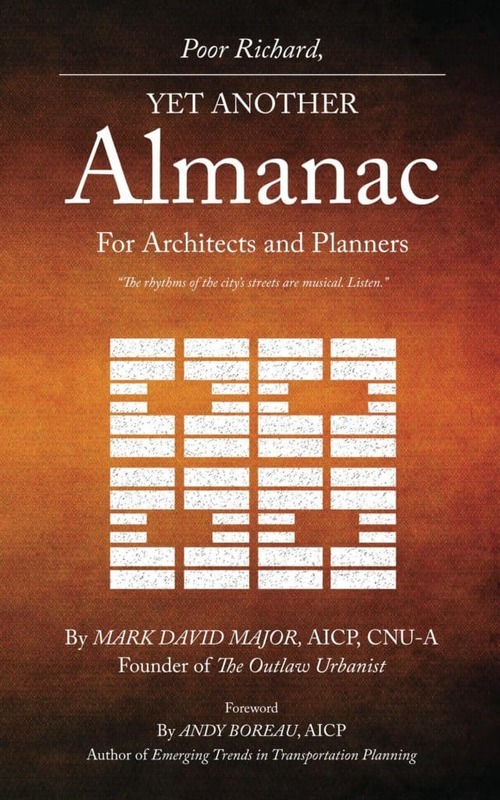 Planning Naked is an article with observations and comments about a recent issue of Planning: The Magazine of the American Planning Association.